The TED Conference is coming to India! Venue is the Infosys Campus in Mysore. TED stands for Technology, Entertainment & Design, an annual conference that defines its mission as “ideas worth spreading”. Venue: Trinity, Taj Residency, Bangalore. If you have been itching to do something on mobile apps, this would be the place to be. With 3G coming to India soon and the already existing millions of mobile subscribers, mobile apps are hot. Serial entrepreneurs & tech industry gurus, all are betting big on mobile applications. 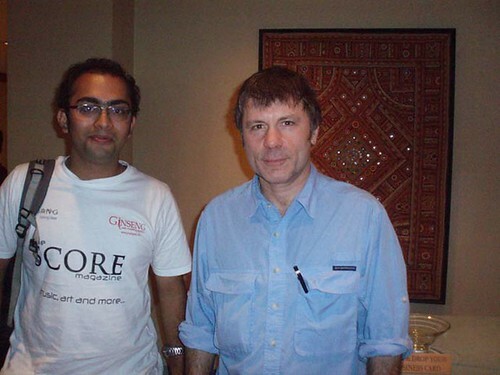 http://www.nokiadevcon.in/speakers.html I recall meeting one of the speakers in 2004 & he had a working prototype back then! Right from govt officials, guys from Forum Nokia, operators, mobile game developers, everyone from the telecom industry would be attending, so, I guess it would be a good opportunity to network & keep abreast with the latest in mobile technology. Presentations on Java, Symbian, Web 2.0 etc. 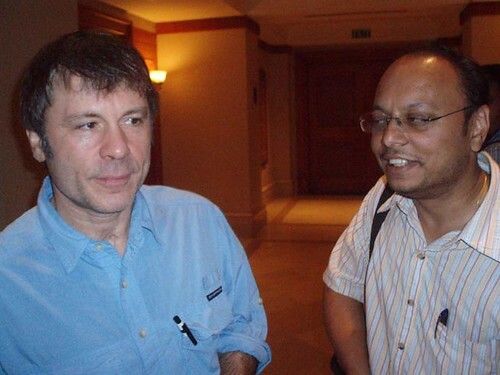 are scheduled and interaction with industry these experts too. 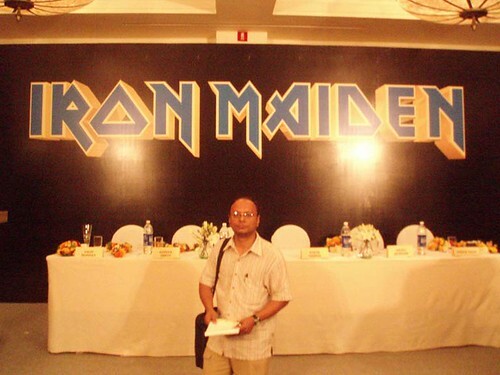 I had the privilege to attend the Iron Maiden Mumbai Press Conference held at JW Marriott Mumbai, India on 31st January. Thank You Ajay. 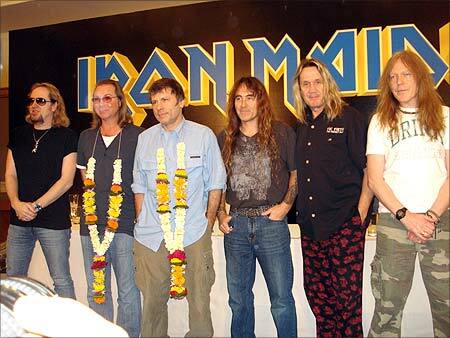 All major Indian newspapers & their photographers were present for this Iron Maiden Mumbai Press Conference. Here are some of the questions & their replies from Iron Maiden band members. 1) Why was this tour named as Somewhere Back in Time World Tour. 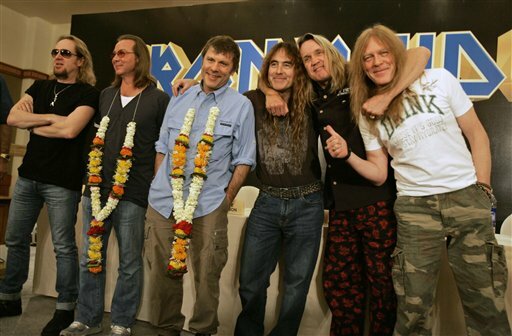 2) what are the band member’s favourite concert Iron Maiden songs? Bruce Dickinson : Moonchild, Rime of the ancient mariner. Adrian Smith : Moonchild, Rime of the ancient mariner. 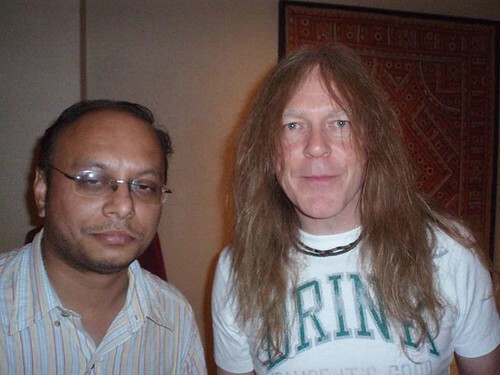 Janick Gers : Likes to play them all. Dave Murray : Rime of the ancient mariner. 3) What does the band think of the current state of heavy metal music like speed metal or thrash metal. 4) What are the bands comments on 3 guitar line up? Dave: The sound is lot more heavier, fuller & richer now. Since they are covering songs from the last 30 years, every guitarist’s sound comes across all these numbers. 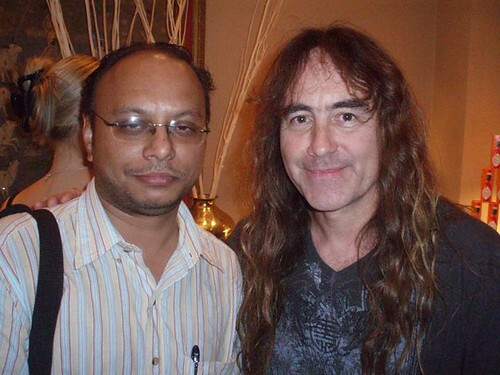 5) Last year at Bangalore Iron Maiden Concert, all the songs were recorded on a Master track recording system, so would these songs be used anytime? Steve: We record everything, these can be used later on. It’s important to have all recordings, as every gig has something special which can be used later on. 6) Why is India first on the list of the tour? Bruce : Well, India is on the way to Australia 🙂 LOL. But more seriously, that the way the flight path has been designed & also India, becuase, there are lots of fans & demand for Iron Maiden in India. 7) For guitarist, what would they advise newbie bands & musicians? Janick Gers : Practice & more practice. Stick to your style & work hard, very hard. Adrian : Work hard think of expressing yourself, through your work, to the point in which you evlove your own style. Afterwards, lot of photo ops, autograph signing followed. I shall post a few pics here later.